"To the Garrison Family, Offering my sincere condolences...."
"May you draw comfort from these words. "I myself am the..."
"May Almighty God and his son Jesus Christ bless and..."
Deacon James Garrison, age 84, of Pembroke, Ga., passed on Tuesday morning. March 19th, at Evans Memorial Hospital in Claxton, Ga., after an extended illness. He was a Liberty County native, but resided in Bryan County for many years. He retired as a self-employed brick mason. 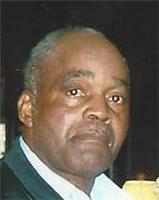 He was a member of the Mount Moriah Baptist Church of Pembroke, Ga., where he served as a deacon. He was a 1950 graduate of Pembroke High School. He is survived by a loving daughter, Ms. LaToya Garrison of Loganville, Ga.; his loving grandchildren, Lauryn Miller, Liyah Miller and Londyn Miller, all of Loganville, Ga.; and a host of other relatives and friends. Family and friends' visitation will be held Friday, March 29, 2019, from 6-7 p.m. in the chapel of Craig R. Tremble Funeral Home, Pembroke Chapel. The homegoing celebration for Dea. James Garrison will be held Saturday, March 30, 2019, at 11 a.m. at the Mt. Moriah Baptist Church, 185 Poplar Street, Pembroke, Ga., with the Rev. Dr. Francys Johnson, presiding/Pastor, and the Rev. Willie E. Garrison, eulogist. Interment will be held in Stevens Grove Cemetery, Pembroke, Ga.
Condolences can be expressed at www.craigrtremblefuneralhome.com. Craig R. Tremble Funeral Home, Pembroke Chapel, is in charge of arrangements.